You are at:Home»Features»2017 Vehicle Dynamics International Awards: the winners! 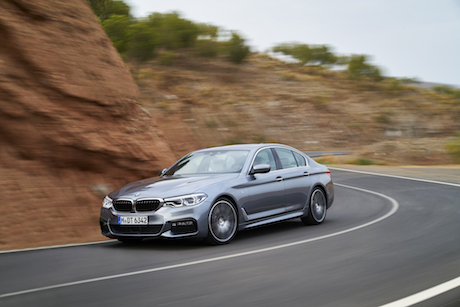 Dynamics have been a key focus for the 2017 5 Series, for which the dynamics team has designed a new chassis, lowered the center of gravity, increased torsional stiffness, and reduced body weight through the increased use of aluminum, magnesium and high-strength steels – indeed the new model is 100kg lighter than its predecessor. Separating the construction of the double-wishbone front suspension into an upper and a lower control arm level gave the engineers freedom to fine-tune the balance between dynamics and comfort. As the spring struts are not required to perform wheel position functions, they only have to handle minimal transverse forces. 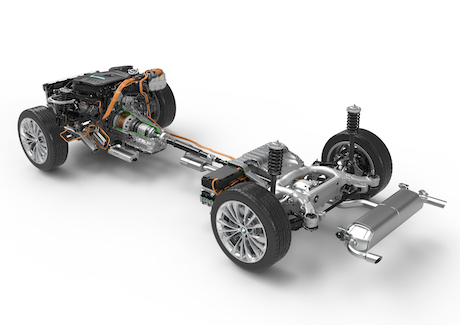 The new five-link rear suspension features specially calibrated elastokinematics, with the large axle subframe mounting and supporting system, the compression strut connecting the suspension and body, and the high structural stiffness, all combining to create an excellent balance between agility and comfort. The 2017 model also marks the first time that BMW’s xDrive intelligent all-wheel-drive system can be combined with Integral Active Steering. Pascali came close to victory in last year’s awards, but some sterling work over the past 12 months has seen him win much-deserved recognition for 2017. His success is impressive since he is still a relatively new face at McLaren, having only joined in early 2015 as head of chassis and vehicle technology, but his strong background in dynamics, with previous experience as chassis dynamics manager at Porsche and head of vehicle dynamics at Centro Ricerche Fiat, has given him the talent to do some great work. 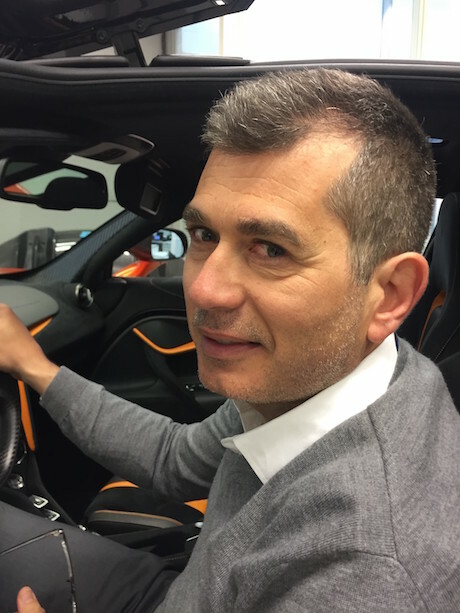 Pascali is helping to bring the brand into new customer territory through vehicles such as the ‘baby’ 570S and 540C models, with other current and recent projects underway including the 570GT, 675LT Spider, 720S, and the forthcoming BP23 – a highly anticipated three-seat successor to the iconic F1. He also helped develop the carbon-fiber MonoCell II chassis, which weighs just 75kg and provides immense rigidity and stiffness that translates into outstanding dynamics. 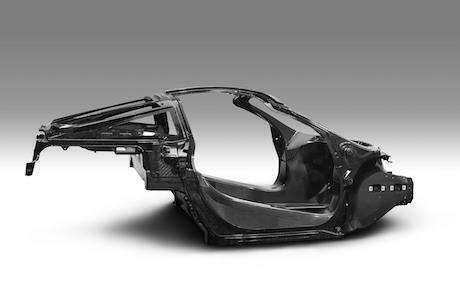 The next stage is the MonoCage II carbon-fiber body structure for the second-generation McLaren Super Series, which will help the new Super Series achieve a lightest dry weight of just 1,283kg –18kg lighter than the already featherweight McLaren 650S – with the claim it will offer “the widest breadth of dynamic ability of any McLaren”. Pascali’s recent work also includes Proactive Chassis Control II (an advanced new generation of the company’s multi-mode chassis control system), which uses 12 more sensors than on previous Super Series models – including an accelerometer on each wheel hub – to ‘read’ inputs from the road and measure the tire contact patches. The information is then analyzed in milliseconds by the Optimal Controller algorithm at the core of the system, and the suspension damping is immediately optimized accordingly. Another new project under Pascali’s watch is McLaren Variable Drift Control, which provides greater involvement for drivers who want to fully explore the dynamic ability of the car, enabling the level of electronic stability control intensity to be varied with a swipe of the central infotainment screen. Amazing work from an amazing dynamicist! According to Audi, energy recuperation will play an increasingly important role in future mobility, including vehicle suspension systems. With this in mind, the company’s engineers are developing eROT, a prototype system in which electromechanical rotary dampers replace the hydraulic dampers used today for a more comfortable ride. The basic principle behind eROT is that every pothole, every bump, every curve induces kinetic energy in the car. Today’s dampers absorb this energy, which is lost in the form of heat. 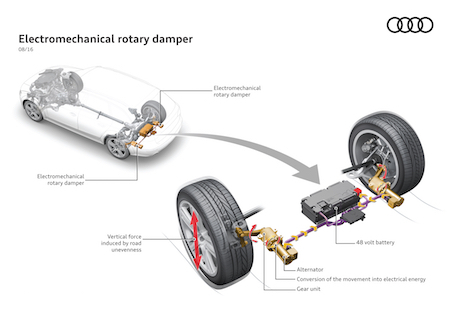 With the new electromechanical damper system in the 48V electrical system, this energy can be put to use and presents new possibilities for adjusting the suspension. The eROT system is intended to respond quickly and with minimal inertia. As an actively controlled suspension, it adapts to irregularities in the road surface and the driver’s driving style, with a damper characteristic that is virtually freely definable via software. According to Audi, the damper design would eliminate the mutual dependence of the rebound and compression strokes that limit conventional hydraulic dampers. With eROT, Audi configures the compression stroke to be comfortably soft without compromising the taut damping of the rebound stroke. Another advantage of the system is its geometry, with the horizontally arranged electric motors in the rear axle area replacing the upright telescopic shock absorbers, which allows for additional space in the luggage compartment. To convert the kinetic energy generated during compression and rebound into electricity, a lever arm absorbs the motion of the wheel carrier and transmits this force via a series of gears to an electric motor, which converts it into electricity. The recuperation output is claimed to be 100-150W on average during testing on German roads – from 3W on a freshly paved freeway to 613W on a rough secondary road. Under customer driving conditions, this would correspond to a CO2 saving of up to 3g/km (4.8g/mile). According to Audi, initial test results for the eROT technology are promising, and its use in future Audi production models is certainly plausible. A prerequisite for this is the 48V electrical system, which is a central component of Audi’s electrification strategy. In the next version planned for release later this year, the 48V system will serve as the primary electrical system in a new Audi model and feed a high-performance mild hybrid drive, offering potential fuel savings of up to 0.7 liters per 100km. While Audi’s dynamics team have been busy developing the award-winning eROT system, they have also found time to develop new models – several new models, in fact. The all-new Q7 SUV features a compact five-link suspension layout that allows for optimized steering rack placement, with handling and comfort enhancements generated through the reduced unsprung weight of lightweight aluminum control arm components and revised elastokinematic attributes. The sportier 429bhp SQ7 version adds in active anti-roll bars to stiffen the car for greater stability. On a smaller scale, the Q2 features Progressive steering as standard in all versions, which varies the steering gear ratio as a function of the steering input. Installed at the rear on the front-wheel-drive versions is a semi-independent suspension, while the Quattro models have a four-link suspension. The new A3 has a revised chassis with a McPherson construction with wishbones at the front axle, and a multi-link rear suspension, while the new A5 has an entirely newly developed chassis, a new electromechanical power steering system, and optional dynamic steering. Other recent projects include new models and revisions, such as the S1 (complete with torque vectoring, a thoroughly revised chassis and specially developed electromechanical power steering), and performance variants such as the S4, S5, SQ5, RS3, RS5 and RS7, with work on the Q8 SUV coupe underway. Cruden has made an unprecedented move to make its Panthera Free professional driving simulator software available to the market for free, as a download. 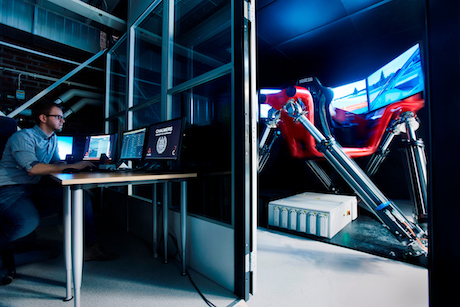 This unusual decision was made in order to allow automotive engineers to experiment freely, either professionally or personally, with driver-in-the-loop simulator software, without workplace and university license restrictions – and also for Cruden to launch itself as a provider of standalone, open architecture simulator software. The product has seen many new users introduced to professional-level DIL simulation, who can now drive, modify and expand their vehicle models, run simulations, add interfaces to hardware, and use custom cars and tracks. This approach by Cruden shows a real passion for the vehicle dynamics community, which we are pleased to reward.